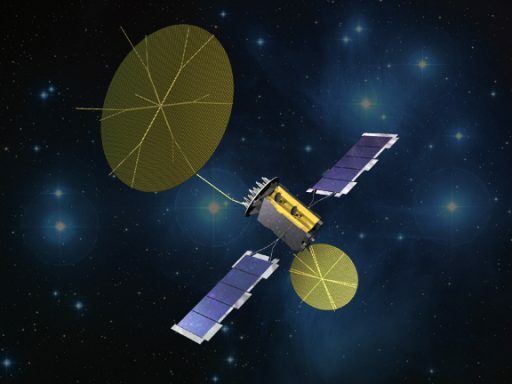 MUOS, the Multi-User Objective System, is being built by Lockheed Martin for operation by the US Navy as part of the MUOS satellite constellation that will be fully operational by 2017. 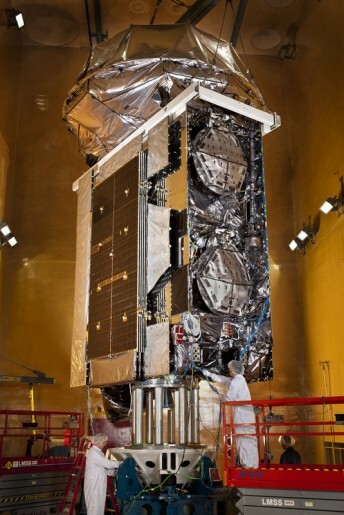 MUOS is the next-generation narrowband tactical satellite communications system and it will ensure the continuation of capabilities provided by the Ultra-High Frequency Satellite Communications System. This follow-on system significantly improves communication capabilities for US forces on the move. 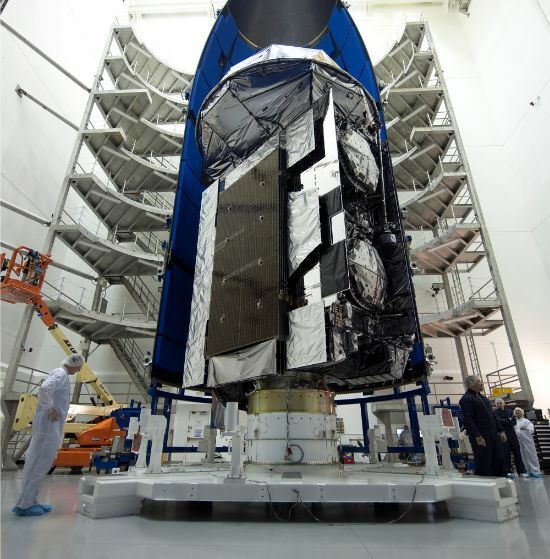 MUOS satellites are based on Lockheed’s A2100 satellite bus and have a dry mass of 3,812 Kilograms and a launch mass of 6,740 Kilograms. 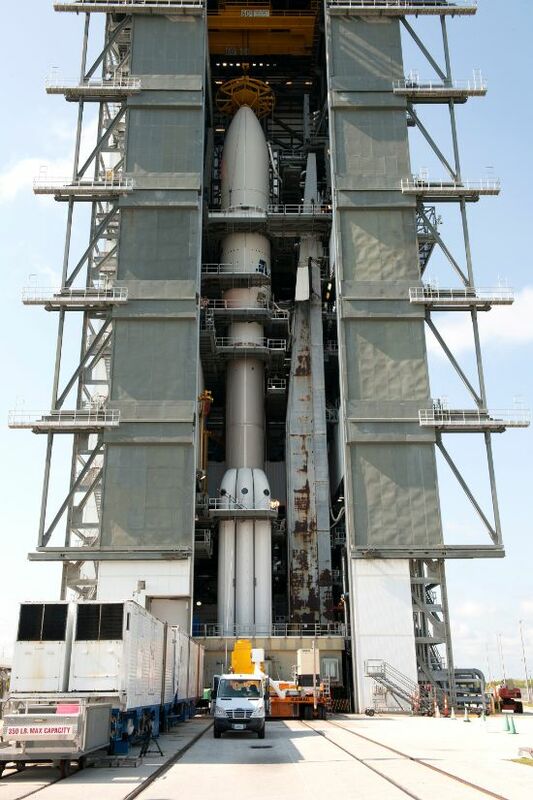 In its stowed configuration, MUOS is 6.7 x 3.66 x 1.83 meters in size. 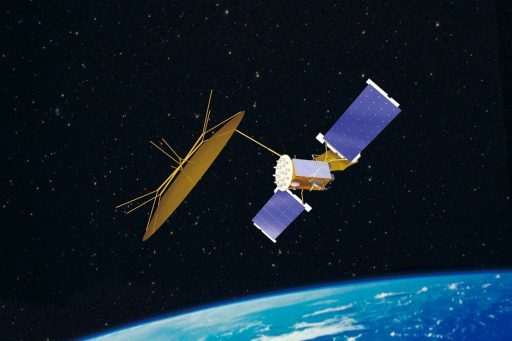 A2100 is mainly used as a platform of communication satellites operating from Geostationary Orbit, however, the platform also builds the basis of the SBIRS-GEO (Space Based Infra Red Sensor) satellites hosting infrared scanning and staring sensors, and future GPS Block IIIA satellites operating from Medium Earth Orbit. Two deployable solar arrays provide power to the spacecraft that is being distributed by avionics and stored in batteries for night passes. The satellite is three-axis stabilized, equipped with an attitude determination and control system that provides precise pointing capability. Satellite propulsion is accomplished with a system centered around the IHI BT-4 main engine. BT-4 was developed by IHI Aerospace, Japan and has a dry mass of 4 kilograms and a length of 0.65 meters. The engine provides 450 Newtons of thrust using Monomethylhydrazine fuel and Nitrogen Tetroxide oxidizer. The propellants are stored in tanks that are pressurized with Helium. In addition to the main engine, MUOS is equipped with Reaction Control Thrusters that are installed on Reaction Engine Assemblies. These are Hydrazine engines that are used for attitude control during BT-4 burns and for smaller orbital adjustment maneuvers and drift operations in GEO. Two gold mesh antenna reflectors will also be unfurled after launch and generate a communications capability that is divided in two segments. A 5.4-meter-reflector will be used for communications with legacy UHF Terminals (292-318Mhz) to provide a system that is compatible with many devices currently in use by the military. The advanced multi-beam communications feature of MUOS will use the second reflector which is 14 meters in diameter. UHF data uplink (300-320 MHz) is digitized and converted to Ka-Band for downlink to ground stations while the reverse path is taken when uplinking to the satellite in Ka-Band as part of a ground station feeder link which is converted to UHF (360-380MHz) by the satellite for reception by mobile users. A total of 16 communication beams can be provided by each satellite. Data rates of up to 384kbps are available for mobile users. Voice, data and combined voice/data communications are available. 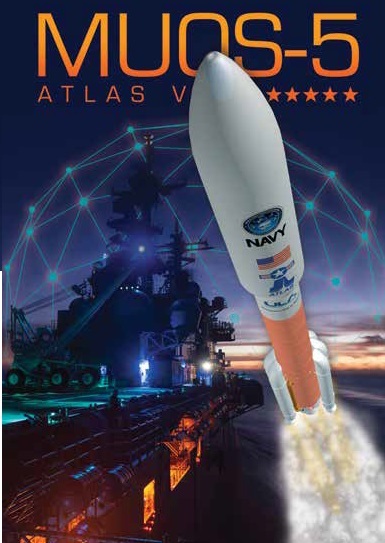 Built around the popular 3G cellphone communications system, the MUOS Constellation enables more users to take advantage of the system that offers 10 times greater communications capacity to the mobile warfighter over the current UHF satellite constellation (UFO). Multimedia communications with a high degrees of simplicity for the operators are available via MUOS. MUOS capabilities will be used by aerial and maritime platforms, ground vehicles and dismounted soldiers to extend the user’s voice, data and video communications beyond their line of sight. Operating in UHF brings the major advantage of stable communications in disadvantaged environments such as forested regions where higher frequency signals are attenuated. Another feature of MUOS is a capability of communications at high latitude regions, normally not possible when using Geostationary Satellites located above the equator. Demonstrations proved that coverage of the northwest and northeast passages, frequently used shipping lanes, are possible. 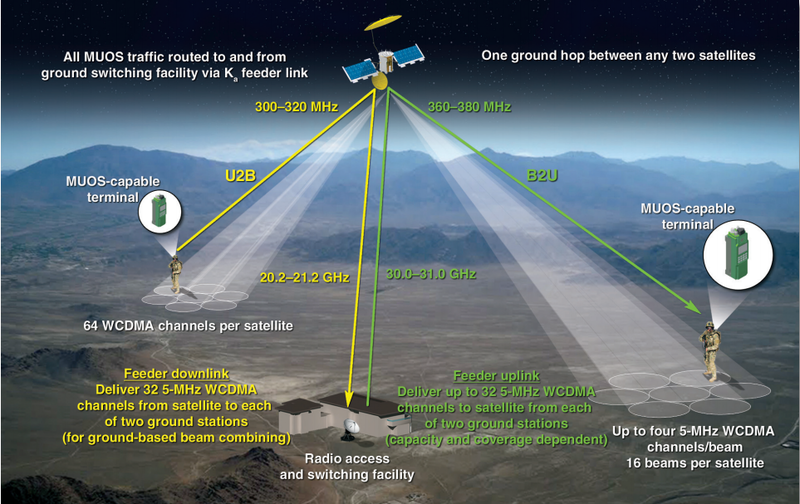 The MUOS system supports point-to-point and netted communications with connections that can be set up within seconds and released as commanded to free up resources for other users. Traditional pre-planned or permanent networks can also be supported. 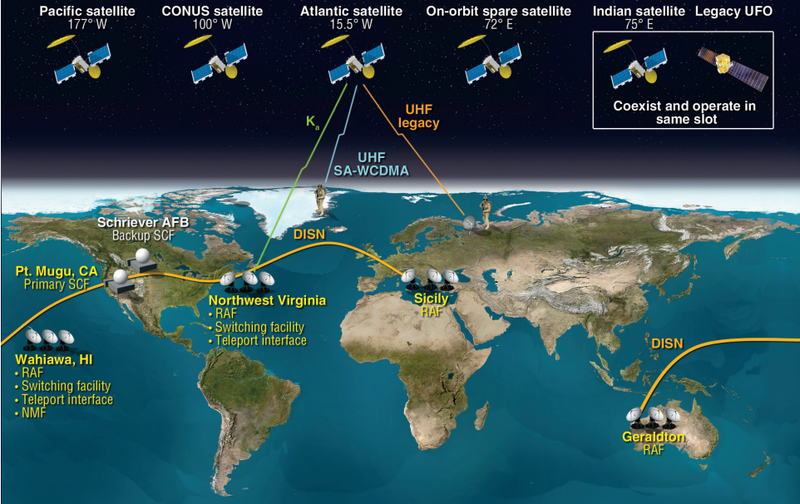 MUOS features a global infrastructure of ground stations in Australia, Italy, Virginia and Hawaii. Each of the ground stations serves one of the four active satellites via a Ka-Band feeder links at 20.2-21.2GHz for downlink and 30.0-31.0GHz for uplink.